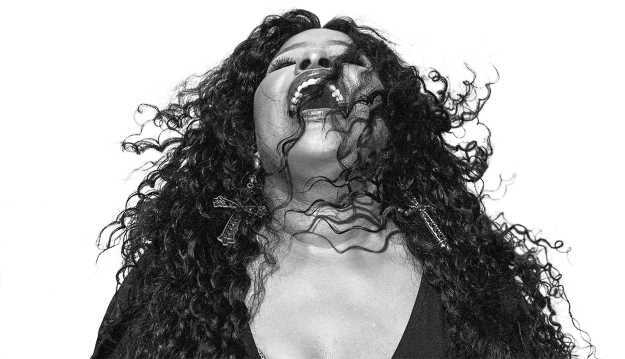 In recent months, Chaka Khan released two singles, starred in the musical feature film Revival! and sang at Aretha Franklin's memorial service. On February 15, the 65-year-old singer will come out with Hello Happiness, her first album in 11 years. Also on tap for 2019: a career documentary, a voice role in Disney's The One and Only Ivan, and the introduction of her hair-care products and fashions. For her new album, she worked with hot young producer Switch - by accident. "Random," Khan says. "I was in the studio; he was in the same studio doing something else. And he said, 'You need some tracks?' And I said, 'Sure.' "
Her background is different from that of a lot of R&B singers. "I didn't start out in a gospel choir. I'm Catholic. I went to Catholic school. I sang Gregorian chants and 'Ave Maria' and stuff like that." She's not sweating the Rock & Roll Hall of Fame (her former group Rufus featuring Chaka Khan has been nominated three times, including last year, but not inducted). "I'm not singing to be in the Hall of Fame. I'm not going to let it take up a lot of my time." She continues singing because she has to. "If I didn't, I'd be unbalanced - more unbalanced than I am. I know it would lead to nothing but ruin. And so I surrender. It keeps me stable, somewhat." She's inspired by young talent. "I like Jazmine Sullivan. She's an amazing artist. Emily King as well. They are two artists who are under-known, and based on the talent, they should be better known." But she's not keen on today's music business. "It's a circus. It's very ugly because it's based on competition. And art is not about competition, which causes a lot of grief and messed-up feelings between musicians and other artists. It's not where I stand."